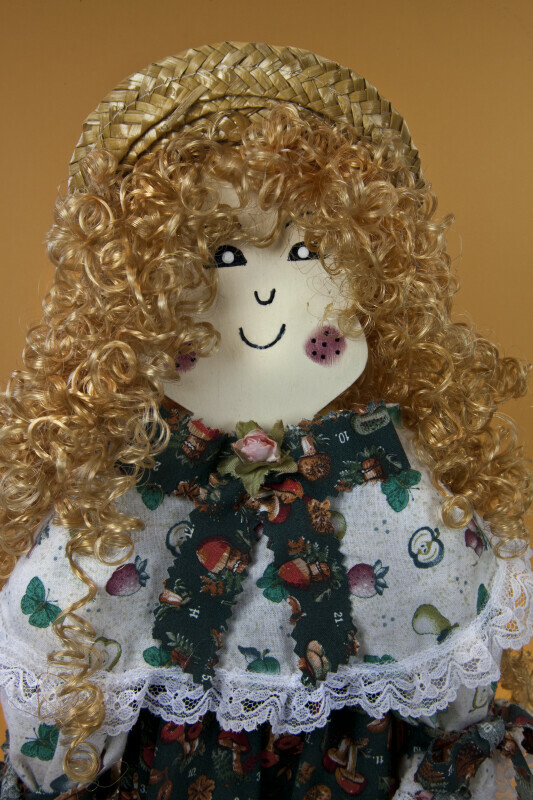 The body of this doll made in Puerto Rico is made from a ½ inch board. Her hands are also cut from wood. She is holding a straw basket and wearing a straw hat. She has curly synthetic hair, and her face is painted on the board. She is wearing a bright print dress with lace trim. Signed: "Ludy, Maunabo, PR. 9/26/99." The figure stands 13 inches (33 cm) tall.